Habitat for Humanity released an innovative campaign that aims to help prevent mosquito-borne diseases—a cause of major health problems in certain countries—by creating a poster that dissolves when it rains and then releases an insecticide that destroys mosquito larvae, combining with the rainwater and helping curb proliferation of the deadly insects. 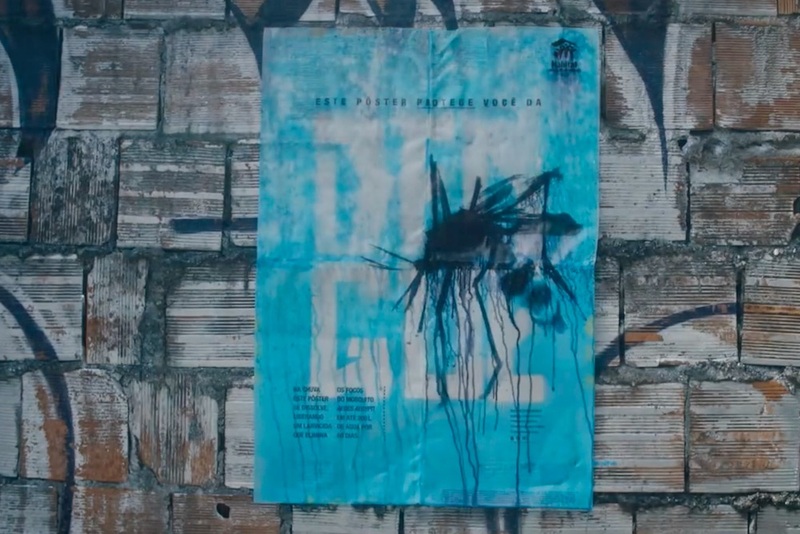 Created by BETC Sao Paulo, the poster was designed specifically to help fight against the Aedes Aegypti mosquito, a breed that carries Zika, Dengue and other virulent diseases. The poster is informative in the sense that it tells the local community about how dangerous mosquito bites are. Along with raising awareness, the poster responds to water and releases insecticide that lasts up to 60 days. Even the insecticide is environmentally friendly, and it is applied on rice-paper sheets with organic glue. Through this creative campaign, Habitat for Humanity manages to help curb mosquito-borne viruses while also raising awareness about its work.